POWERFUL MOTOR:Two independent 1800W motors control to the front and rear wheels , up to 3600W motor power in All-Wheel Drive mode.Powerful motors allow for a top speed of 52 MPH. HIGH CAPACITY BATTERY: 35Ah60V lithium battery.High Capacity Battery with a maximum travel range of up to 56 miles .Full Charge Time: about 5 hours. 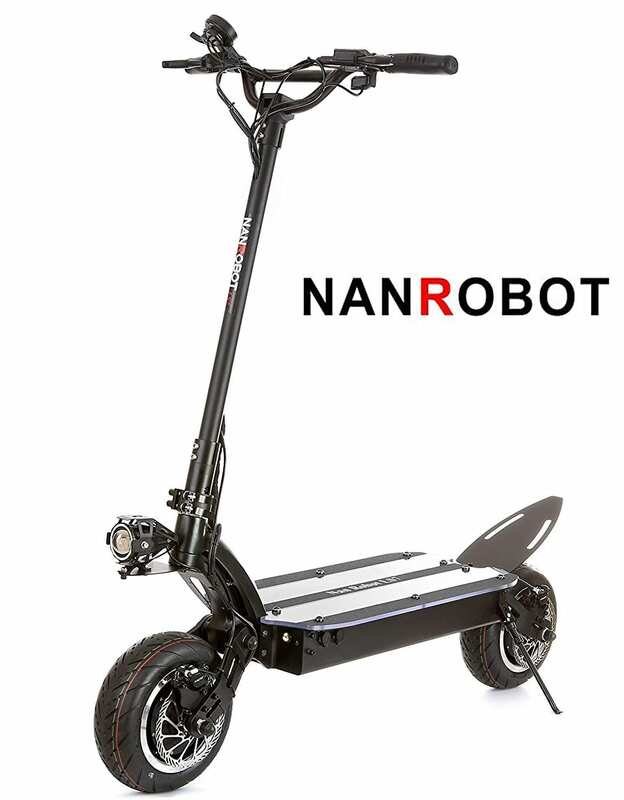 EFFICIENT DAMPING SYSTEM?Rubber shock absorption & 11″ pneumatic tires provide great shock absorption and anti-slip function that make the NANROBOT scooter adapting to the roads of different terrains. RELIABLE BRAKING SYSTEM?Front & rear hydraulic disc brakes system steady stop during emergency braking.